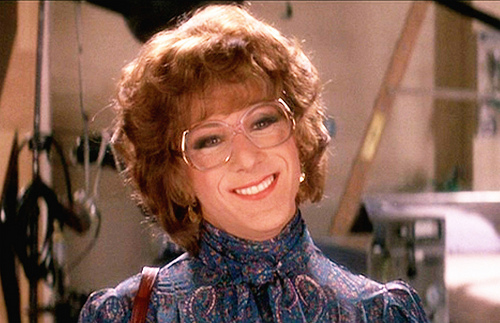 A comedy about gender politics, Tootsie delivers excellent laughs with sharp social commentary, propelled by a virtuoso Dustin Hoffman performance. Michael Dorsey (Hoffman) is a struggling actor based in New York City. Passionate about his craft but with a reputation for being difficult to work with, Michael's career is slipping away into low-key suburban theatre productions. Desperate for a last chance at stardom, and much to the horror of his agent George (Sydney Pollack, who also directed) and room mate Jeff (Bill Murray), Michael dresses up as a woman, adopts the persona of Dorothy Michaels, and lands the part of a hospital administrator on Southwest General a tawdry but popular daytime television hospital drama. Michael gives Dorothy an independent, feminist edge, shaking up the show and quickly becoming the toast of the town. But Michael's love life starts to get really complicated. As Dorothy places more demands on his time, he neglects potential girlfriend Sandy (Teri Garr). Meanwhile, Julie Nichols (Jessica Lange), who plays the resident tarty nurse on Southwest General, finds herself strangely attracted to Dorothy, and Julie's widower dad Les (Charles Durning) is also quite smitten with the new star. Finally, the lecherous but semi-senile John Van Horn (George Gaynes), who portrays the senior doctor on the show, sets his sights on Dorothy as his next sexual conquest. The unusually rich screenplay (co-written by Barry Levinson and Elaine May, among others) is able to maintain focus on the hearts of three characters, as Michael, Julie and Les all undergo journeys of discovery about what really matters in their lives. With a light touch but deliberate steering by Pollack, Tootsie delves into the skirmishes between the sexes, uncovering plenty of new angles to explore. Michael thought that transforming into Dorothy would provide a superficial career boost. Instead, Dorothy became the change agent through which Michael gains a new perspective on his relationships. Michael becomes a better human being as Dorothy, with unexpected consequences. While Michael's dour intensity and serious mannerisms mostly turned everyone off, Dorothy demands and provides R.E.S.P.E.C.T., and as it turns out, love and affection flow smoothly and in all directions when mutual respect is a common foundation. It becomes only normal that Dorothy's honest, open, playful and forthcoming personality attracts both Julie and Les. In Julie's case the purity of the relationship almost overcomes traditional gender boundaries, while for Les, Dorothy's virtue proves to be an immediate attraction to a widower. Dustin Hoffman delivers an extraordinary performance, measured by how quickly the make-up is forgotten, and how powerfully Dorothy's presence as a woman is established and maintained. Michael's occasional stumbles in Dorothy's heels serve not only as comic touches, but also as a reminder that there is an actor beneath all those womanly clothes. Jessica Lange, coming off career-making but highly intense roles in The Postman Always Rings Twice and Frances, demonstrates a glow for serious humour, Julie a much more interesting role than most comedies accommodate. Julie is allowing herself to be belittled in front of the camera as the airhead nurse, and off-camera by the show's director (Dabney Coleman). Dorothy proves to be an inspiration, and maybe more, prompting Julie to change her attitude towards relationships and more importantly, towards herself. 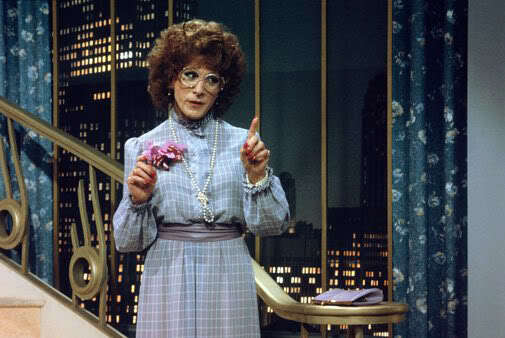 Lange won the Best Supporting Actress Academy Award, the only win from 10 nominations received by Tootsie. Terrific depth is provided by Durning, Garr, Coleman, Pollack, and Geena Davis making her screen début in a small, barely dressed, role. Durning, in particular, finds the sadness within a jovial but lonely man looking to fill the void left by the loss of a life-long love. Bill Murray pops up unannounced as Michael's laid-back room mate, providing acrid commentary on a pantomime spiralling into an unintended life experiment. As it turns out, sometimes a man needs to walk in the heels of a woman to better understand what being a man really means.